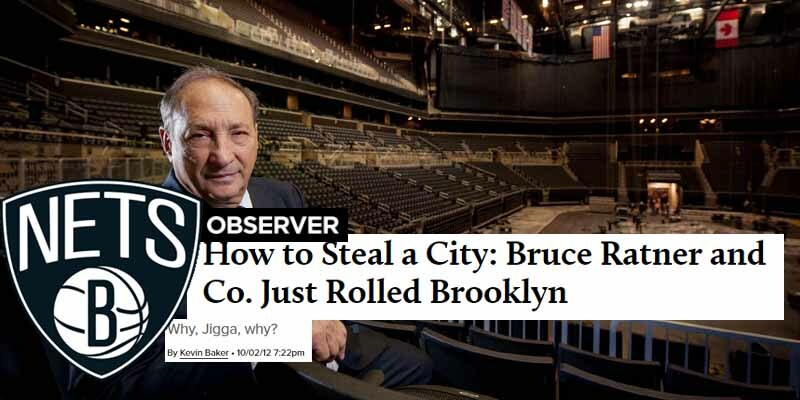 Real estate developer Bruce Ratner wanted to bring the Nets to Brooklyn ever since he bought the team in 2004, but building a new arena for them proved to be a challenge because of the economic downturn of the late 2000s and opposition from people who owned businesses on the land that was to be used for the venue. Eventually, The New York Court of Appeals ruled in favor of the state using eminent domain (the right to seize land for public use) for the project on November 24, 2009 and construction of the Barclay’s Center began in 2011. Conspiracy theorists suggested the state of New York was in cohoots with Ratner and that Ratner brought Jay-Z on board to help save face.